*Not everyone who files a complaint reports a topic. 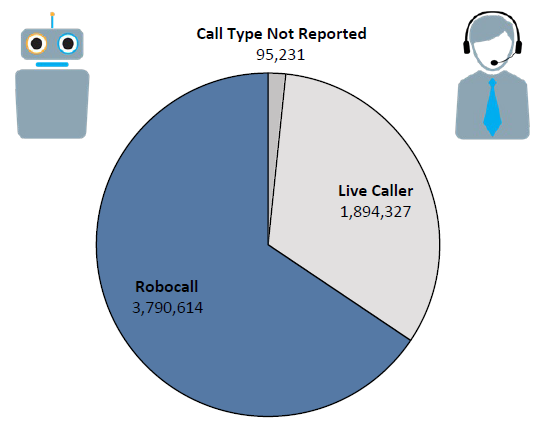 The total includes complaints about robocalls, complaints about live callers, and complaints where the call type was not reported. 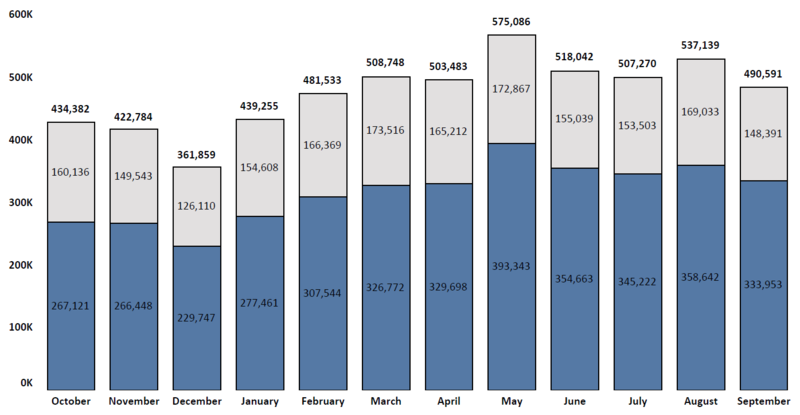 The number of calls where a call type was not reported is relatively small every month. The full data, as well as complaints reporting that the consumer asked the entity to stop calling, is available at www.ftc.gov/data.